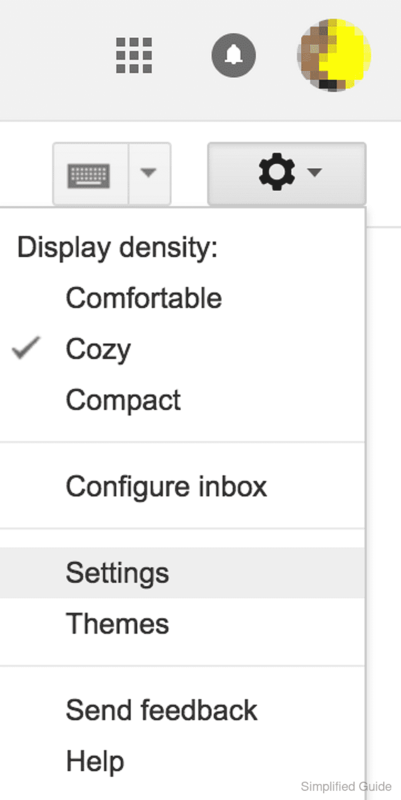 Open settings from the dropdown menu by clicking on the gear icon in the upper right corner of Gmail's main interface. 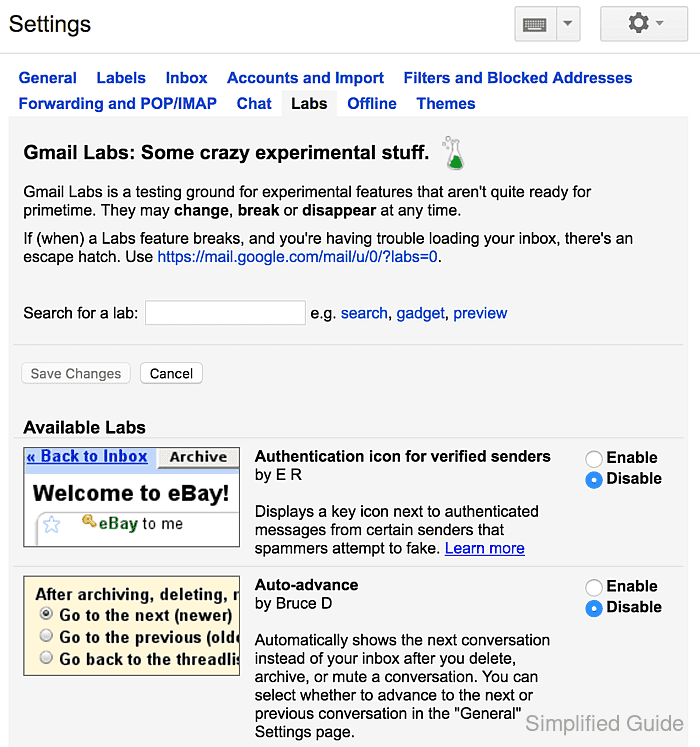 Click on the Labs tab in the Settings's page. Type Google Calendar gadget in the Search for a lab search box. Click on the Enable radio button and the click on the Save Changes button. 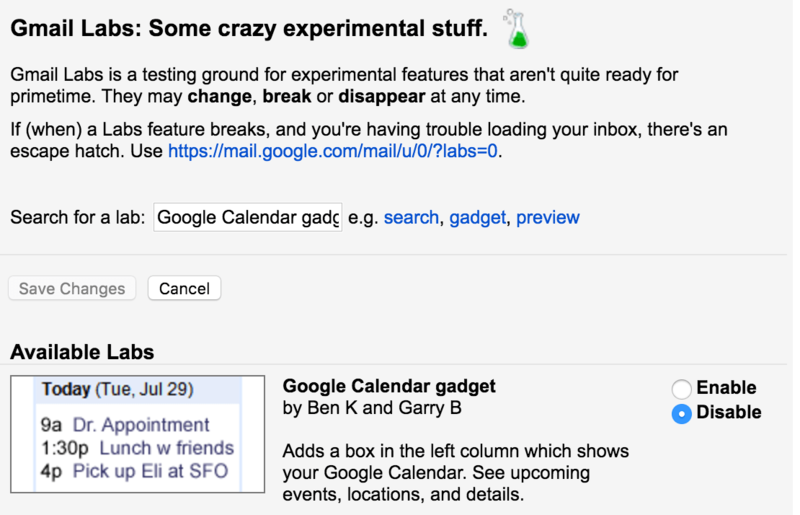 Click on the Gadgets icon on the bottom left of Gmail's interface to reveal the Google Calendar. 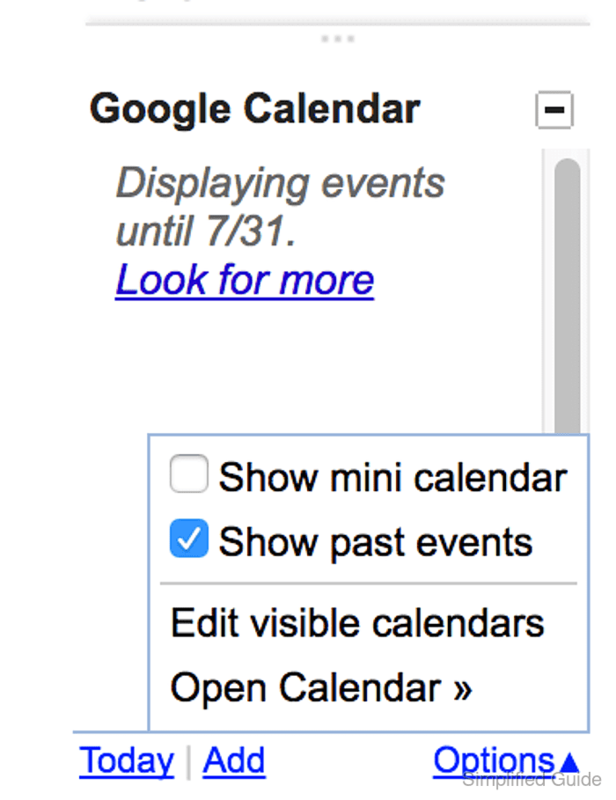 Calendar events attached to your account with minimal configuration options should be displayed.